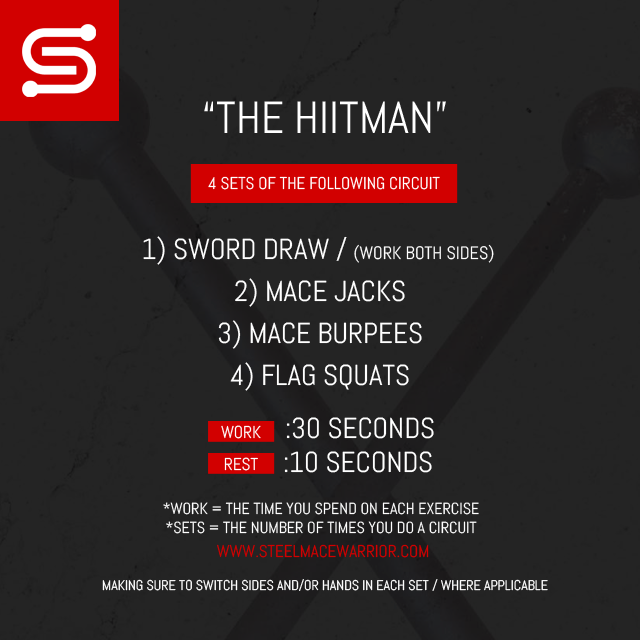 Ever wonder if you can use the mace HIIT style? Yes, you can! The aim for this workout is to go hard during your :30 sec of work. Rest for :10 sec between each exercise. Don’t stop, let’s get that heart rate up. Repeat the circuit for 4 Sets. Also make sure that you work both sides for your Sword Draw. SMW will be releasing FREE bi-weekly Steel Mace Workouts. Want to get them delivered to your email? SUBSCRIBE TODAY. Want to get my steel mace workouts delivered straight to your email?